Given his high level of animosity toward American Progressivism, it was, perhaps, inevitable that Glenn Beck would eventually have something to say about John Dewey. In his latest book, Arguing with Idiots: How to Stop Small Minds and Big Government, he dedicates a whole chapter to education. A healthy portion of this chapter is, unsurprisingly, dedicated to progressive education, which Beck hates. Education is about learning. Learning, like weight loss, is sometimes hard. You have to stay committed and push yourself day after day to see results. Don’t ever say this in front of a progressive (don’t worry, none of them are reading this book), but some people are better learners than others. The problem with progressive education, in other words, is that it is too sentimental and soft-hearted. School should be a competitive institution that should act as a mechanism to figure out who can survive in the tough business of learning. Existing life is so complex that the child cannot be brought into contact with it without either confusion or distraction; he is either overwhelmed by a multiplicity of activities which are going on, so that he loses his own power of orderly reaction, or he is so stimulated by these various activities that his powers are permanently called into play and he becomes either unduly specialized or else disintegrated. I believe that the teacher’s place and work in school is to be interpreted from this same basis. The teacher is not in the school to impose certain ideas or to form certain habits in the child, but is there as a member of the community to select the influences which shall affect the child and to assist him in properly responding to these influences. Both these quotes are taken from My Pedagogic Creed (1897), which is a useful summary of Dewey’s early views. The Creed is not, however, a statement of Dewey’s considered views on education—it’s a quick one-off piece that simply lists a number of beliefs (“I believe X, I believe Y, I believe Z”) without any further explanation. I’m not really sure why Beck (or his co-author) picked the first quote. Although it contains some questionable 19th century psychology, it is actually relatively uncontroversial. Everyone knows that “real life” is complex and that children are not immediately prepared to appreciate all of its complexity. Little Johnny isn’t interested in what, say, actuaries do or in understanding the nuances of bureaucratic procedure. The second quote is a more promising choice, at least from the perspective of Beck’s argument. The point of this second statement is to emphasize Dewey’s rejection of the traditional approach to education. Quoted in isolation, it makes Dewey appear to be a partisan of a hands-off variety of progressive education. Yet although Deweyan education might have been relatively freewheeling according to the standards that prevailed in the 19th century, the Dewey School was still a carefully structured educational environment. Katherine Mayhew and Anna Camp Edwards’ account of life at the Dewey School makes this clear--Dewey wanted children to be active inquirers rather than passive recipients of knowledge, but the learning situations were carefully planned. In other words, teachers aren’t there to tell a child if he or she is “right or wrong” (especially not in red ink), they’re there to help the child through a touchy-feely period of self-awareness and discovery. Beck wants to establish Dewey as the apostle of “touchy-feely” progressive education, but this is a hopeless mission. As I’ve pointed out in a recent article in Studies in Philosophy and Education, Dewey was actually opposed to sentimental approaches to education. He felt that these approaches posed significant dangers to children’s development and hindered the growth of their habits of inquiry. AUDIENCE MEMBER: Yes, my question was in the Progressive Movement and its original roots. How did public education play a role in that with our founders such as John Dewey who are big advocates of public education? It is hard to tell exactly what the question is, at least from the transcript, but that did not stop Beck and his guests from commenting on it. SCHWEIKART: Well, you know, that's a great question. SCHWEIKART: The answer goes to the essence of reform, I keep coming — of progressivism, I keep coming back to this, is reform. It's all about reforming to what? To perfection. The idea whether they're children, whether they're corporations, whether they're city governments, you can if you just keep reforming them long enough, you will finally get to perfection. It's a view that denies human sin. I hate to go there. But that is the point, it denies human sin. BECK: I mean, it is really the collective salvation. If you look at it, it really is the whole misunderstanding of humans can be perfect, if you just have administrator administrate all the time and keep them in a box. Humans can be perfect, which is a lie and that there is collective salvation that we will all be saved together, right? BECK: — are extraordinarily spiritual, evil, really. Right? Yes. It’s really hard to tell what exactly is going on in these statements, conceptually speaking. The line of reasoning seems to be that Deweyan progressivism involves a toxic, perfectionist ideal. Now, one could see how this could be a problem, if it were true, but there is no evidence to suggest that it is. FOLSOM: Well, and John Dewey was a progressive. That was a good question. Dewey was a progressive, supported the progressives. 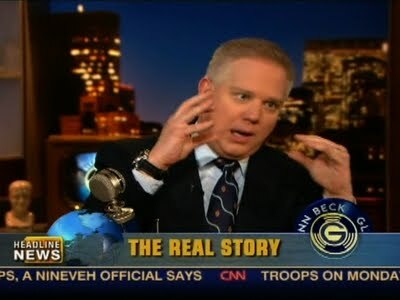 Evidently, the understandings that Beck and his guests about Dewey are a blend of misinformation and fear. They know that John Dewey is someone that they shouldn’t like, but they don’t have a clear idea of exactly why they shouldn’t like him. Since the few facts that Beck possessed about Dewey in his book seem to have eluded him when it came time to respond to this audience member’s question, perhaps some good old drill and practice might help him be better prepared for the next time a Dewey question comes his way.